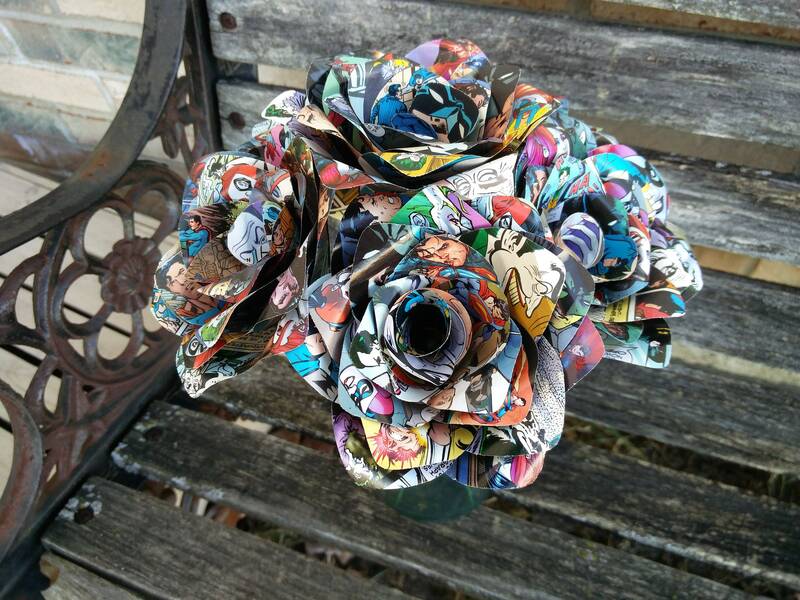 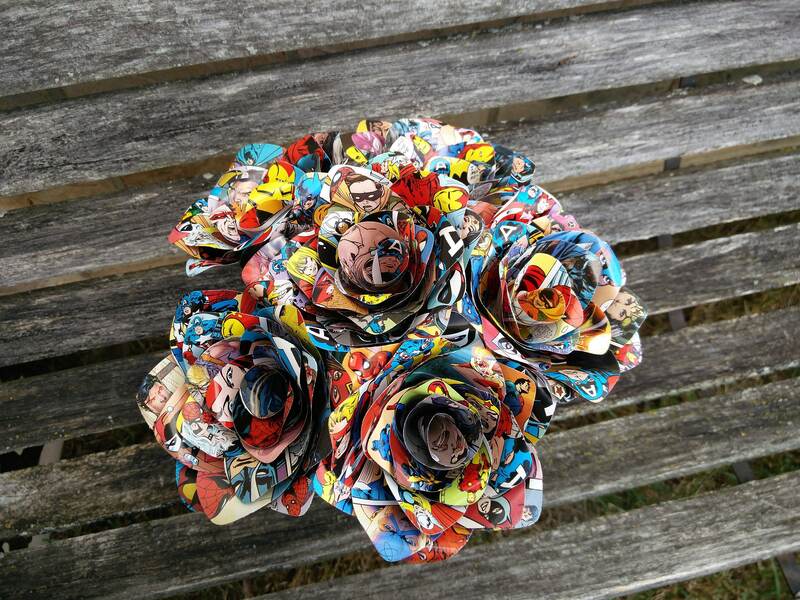 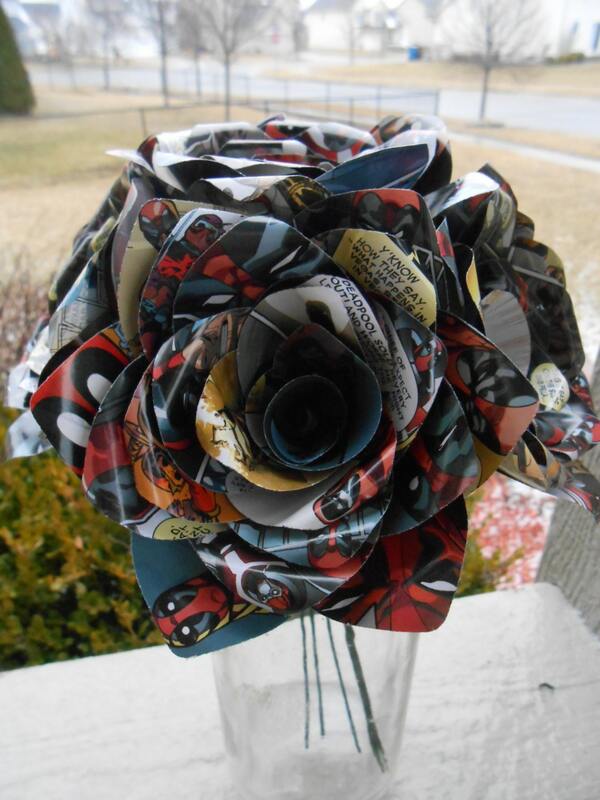 This listing is for a paper flower bouquet, made entirely from comics. 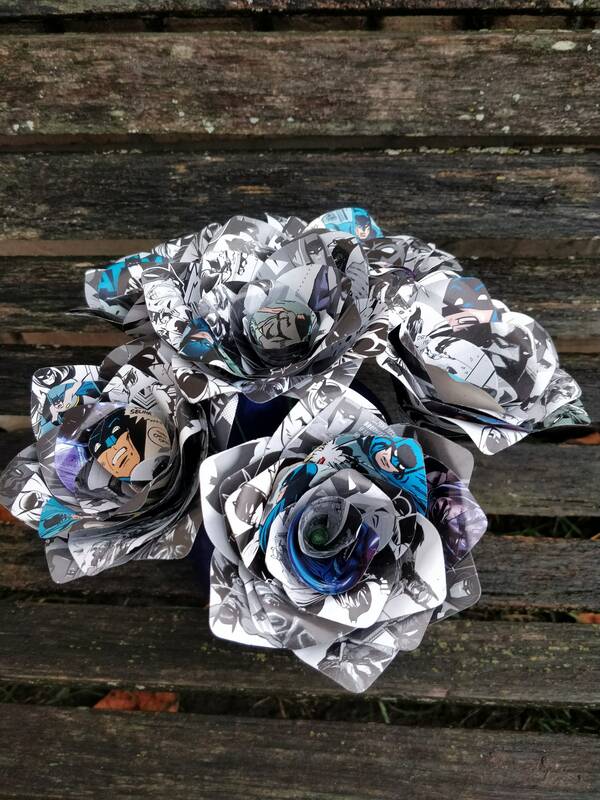 Each bouquet has 6 paper roses in it. 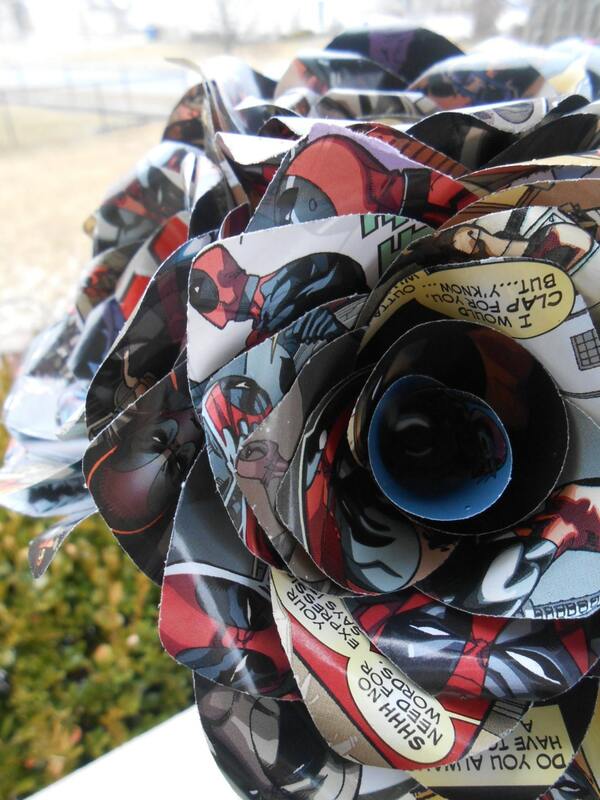 Each flower measures around 3.5-4 inches wide. 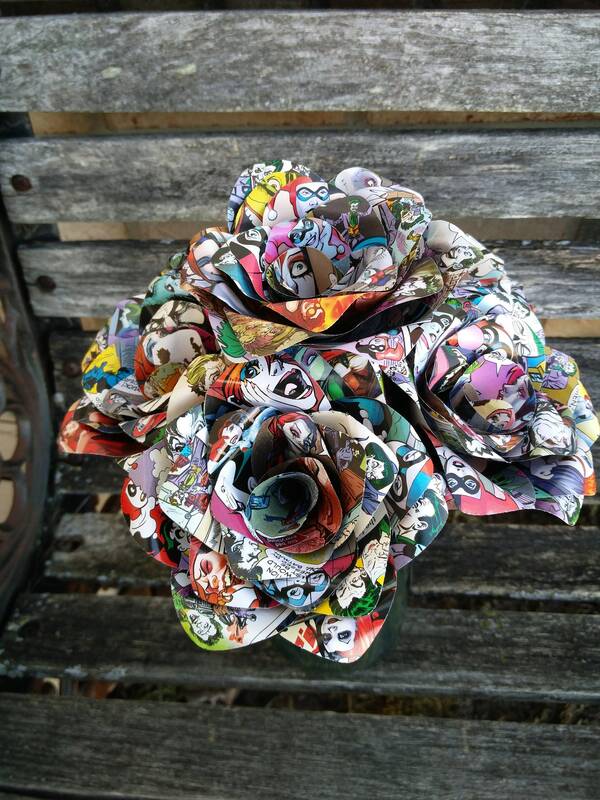 AT CHECKOUT: Please leave me a note with the characters you want. 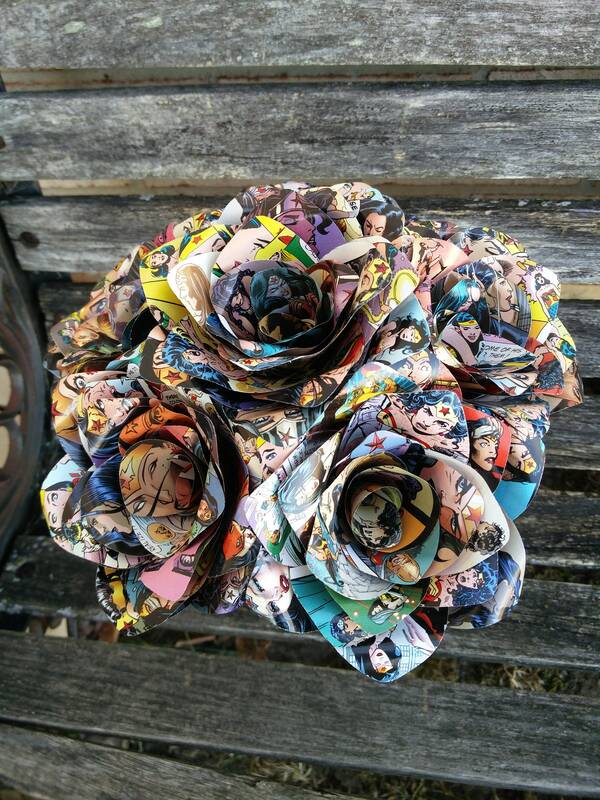 I can do each rose in one character, or I can mix them up. 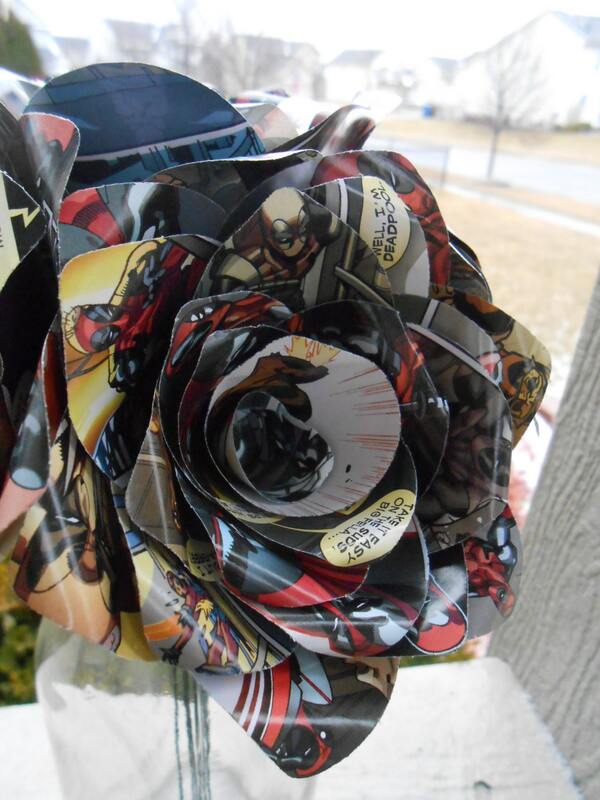 Please be specific.